Mike Hawthorne: The "almost" What if? 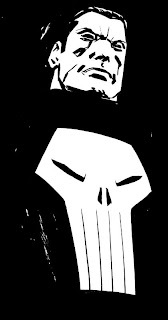 Before I settled on the two themes I'm going to do for Comic Twart's Marvel weeks I almost chose The Punisher. I decided against it since it felt too "on the nose" for me. Good thing too, since Declan went with Big Pun. Anyway, here's a sketch I did when considering The Punisher.